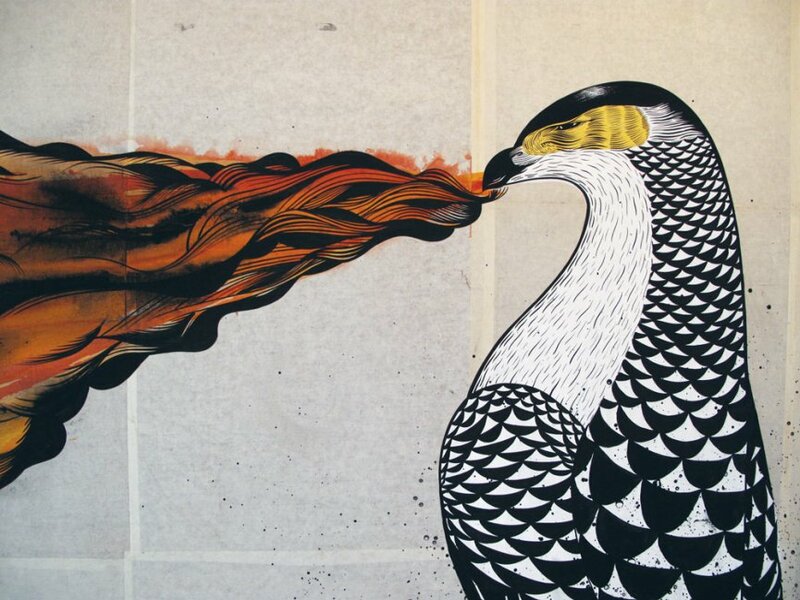 Converse and Juxtapoz Magazine have been putting on a cool street art project for three years. The famed Converse Wall to Wall campaign now spreads from Brooklyn to Portland and from San Francisco to Austin, Texas. 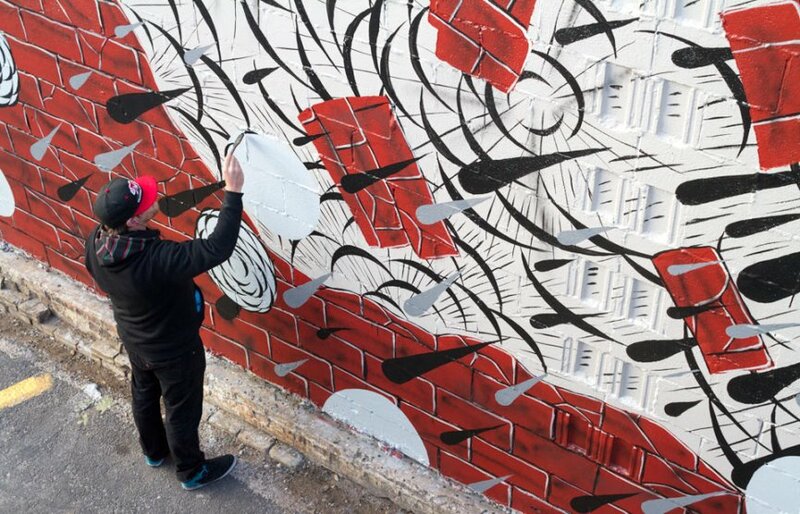 Juxtapoz always invites the best mural painters of the global art scene to participate and adorn the selected hoods with their inspirational work, as Converse Wall to Wall principal goal is to promote creativity. This season the 2014 Sight x Sound Week, Converse and Juxtapoz gathered around an exciting bunch of creatives including Richard Colman, Andrew Schoultz, Dennis McNett and David Ellis and brought them to Austin where they will work their magic and conjure up new installations, performances, interactive artwork, and of course murals, all spiced up with cool music, tech and movie shows. The SXSW event is about to go down this week, on March 13 & 14, 2014, and it is open to everyone and anyone who wants to step out and feel the art. Richard Colman is one of the participating artists, about to contribute with the crazed, intriguing and screamingly colored work. His murals are carefully composed mix of vivid geometric shapes intertwined with reduced, but overt figures engaging in all kinds of provocative activities. 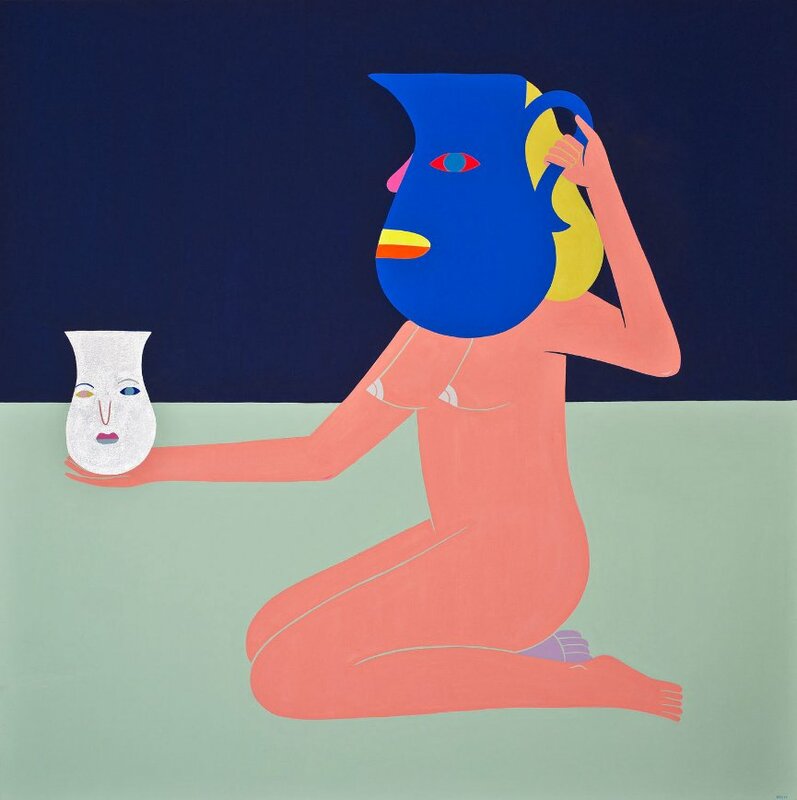 The latest canvas pieces by Colman have lost some of that geometry, but retained the ornamental character of an ancient vase, as well as the lascivious iconography. 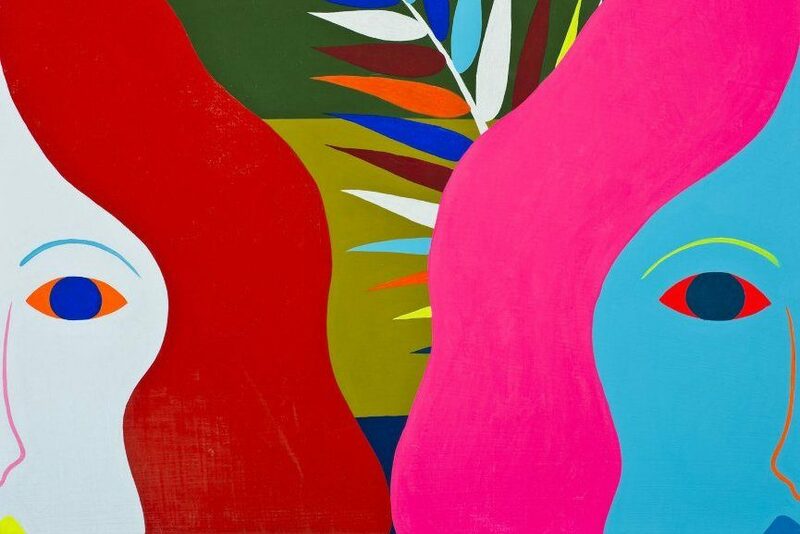 His paintings are surreal enough to be considered even semi-abstract, hugely leaning onto color block painting. He lives and works in San Francisco, and his artwork has been exhibited around the world. 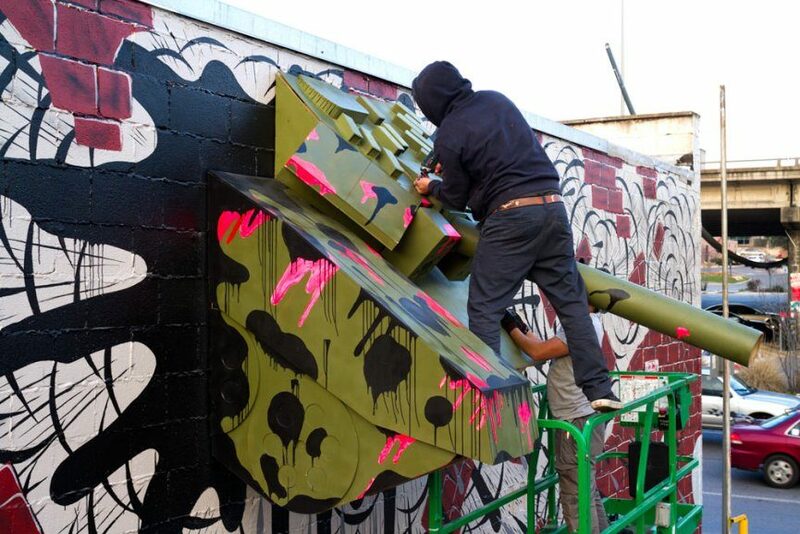 In the last few days, Andrew Schoultz has been busy working on a mural-installation project in Austin, involving a combat vehicle. 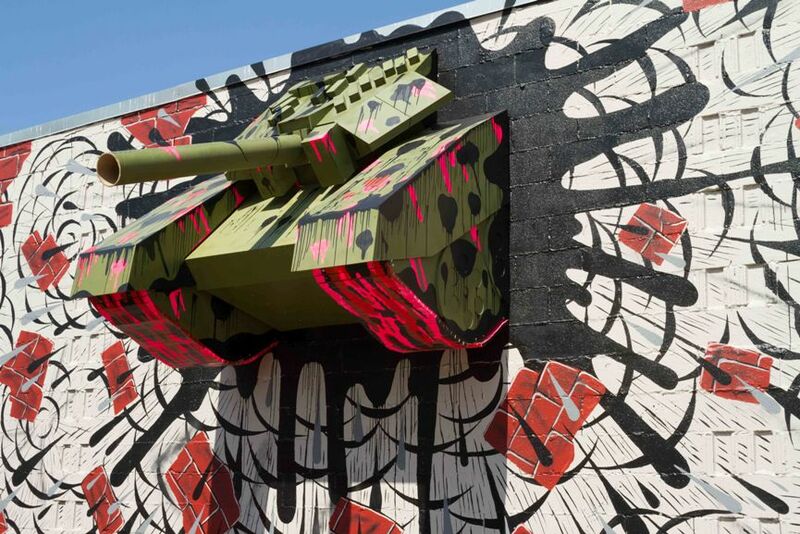 The mural is titled Melt Down, and it is one of the first completed in the 2014 SXSW Juxtapoz and Converse Wall to Wall project. His work has been shown around the globe, being featured alongside Paul Clee in 2011 at San Francisco Museum of Modern Art. Andrew Schoultz is now based in Los Angeles, but he made his artistic career in San Francisco, where he created numerous murals and gained international acclaim. We cannot wait to see what David Ellis has in store for the Austin SXSW week this year. 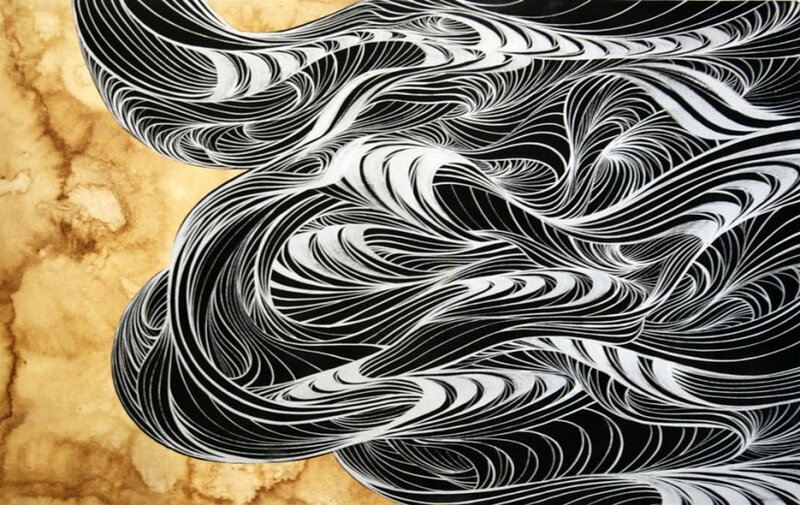 His fluid linework and elegant forms have always been inextricably correlated with sound, as he paints the emotions and vibe exuded from the audio realm. 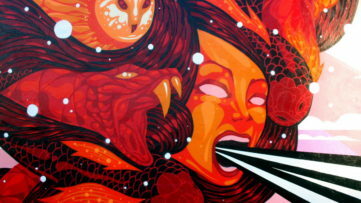 His art permeates different media, from painting and sculpture to installations and murals. 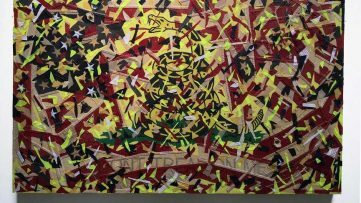 This New Yorker has exhibited at the most prominent art spaces in the country, including MoMA, PS1, and Museum of Contemporary Art in San Diego. 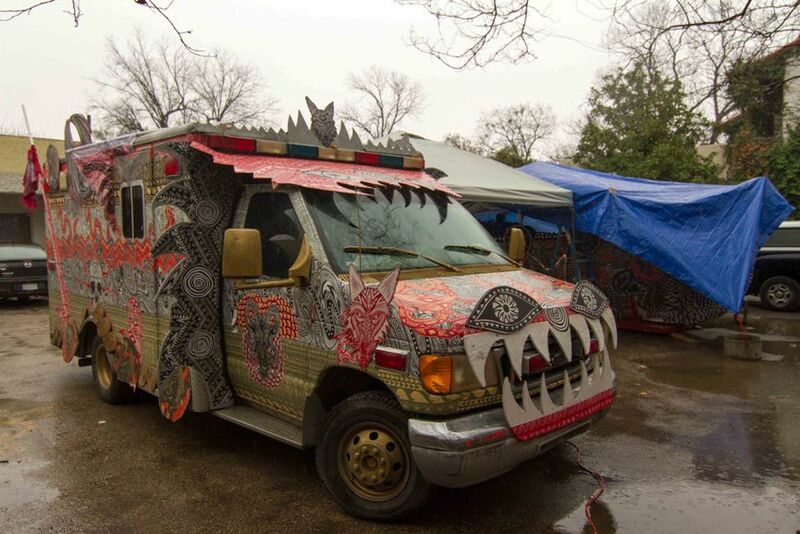 Known also as Wolfbat in the streets, Dennis McNett is a versatile creative, whose talent invades all visual realms, from graphics, to painting to applied arts and installation. 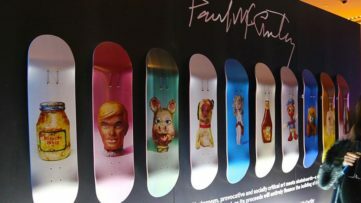 He has been working in skateboarding, collaborating with foremost companies such as Vans and Barneys, NY. 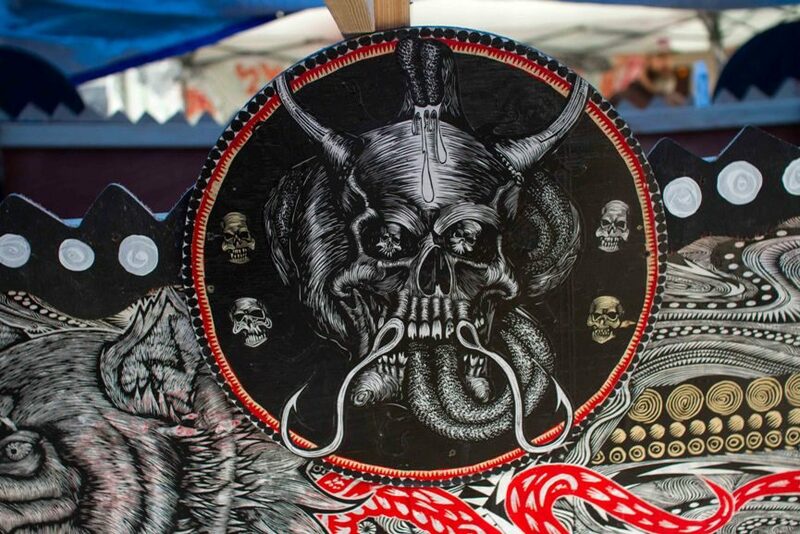 Displays of his art were hosted by Known Gallery and Deitch Arparade. One of his most exciting works was for a Viking Ship parade, showing off his skills to the fullest. For the SXSW 2014 Dennis McNett has been constructing a ship outside the venue, preparing a performance Wolfbat style, to occur on March 15, 2014 at 10:15pm. This project is interactive and everybody is welcome to participate and help create floats, masks and other props.